It has been really hot and humid during the last week in Islamabad. Thankfully, Pakistan Meteorological Department (PMD) has predicted rain this coming week from Monday (10 July 2017). According to the PMD press release, the spokesperson said that monsoon currents are expected to penetrate in upper parts of Pakistan from next week that will grip most parts of the country during this week. National Forecasting warned that heavy rains and thundershowers are expected in most areas of south Punjab, Kashmir, Khyber Pakhtunkhwa, Gilgit-Baltistan, Sindh and Baluchistan. National Forecasting Center warned that heavy rains and thundershowers are expected in most areas of south Punjab, Kashmir, Khyber Pakhtunkhwa, Gilgit-Baltistan, Sindh and Baluchistan. Pakistan Meteorological Department has also issued alert to all provincial authorities to stay informed about the expected penetration of monsoon winds will and heavy rains throughout the country this week. Due to intermittent rains, there is a risk of landslides in Kashmir, Gilgit-Baltistan, and mountainous areas of upper Khyber Pakhtunkhwa province, Met office predicted. Furthermore, Met office said that most parts of the country will have hot and humid weather during the twenty-four hours. However, rain and thundershowers with gusty winds are expected in Rawalpindi, Islamabad and its adjoining hilly areas. 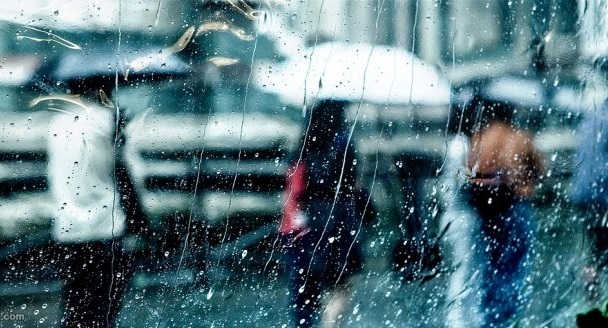 Rain and thunderstorm with isolated heavy to very heavy falls expected at a number of places in Islamabad, Upper Punjab (Rawalpindi, Sargodha, Gujranwala, Lahore and Faisalabad divisions), and Kashmir during Monday to Thursday. Rain-thunderstorm with isolated heavy falls also expected at scattered places in southern Punjab (D.G.Khan, Multan, Bahawalpur and Sahiwal divisions) during Tuesday to Thursday. Rain with thunderstorm with isolated heavy falls expected at scattered places in KP, FATA and Gilgit-Baltistan during Tuesday to Thursday. Rain and thunderstorm with moderate to heavy falls expected at scattered places in Sindh and eastern Balochistan (Zhob, Sibbi, Naseerabad and Kalat divisions) during Friday to Sunday. The temperature of some major cities recorded this morning was: Islamabad twenty-eight degree centigrade, Lahore thirty, Karachi and Peshawar twenty-nine Quetta twenty-three, Gilgit twenty, Murree nineteen and Muzaffarabad twenty-two degree centigrade. The Met Department has directed all the concerned departments to remain alerted because rains are feared to flood storm drains, barsati nullahs, and low areas in Rawalpindi, Lahore, Karachi, and Peshawar.